What Happens If You Rent & Your Home Is Foreclosed? Recently, Fannie Mae released an announcement describing a new policy that will allow qualified renters to remain in Fannie Mae-owned foreclosure properties. Formally known as the National Real Estate Owned Rental Policy, it is meant to address the difficulties faced by tenants who – often through no fault of their own – face serious disruptions in their lives because the owner of the property in which they live has been foreclosed upon. 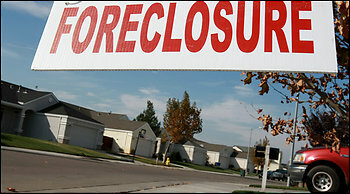 Renters in properties owned by Fannie Mae will be able to stay in their homes after the foreclosure. Note: this applies only to renters in the property at the time of the foreclosure. It does not apply to the borrowers who lost the home or any of their immediate relatives. Any type of property can qualify: single-family homes, condos, co-ops, manufactured housing, or one-to-four unit buildings. After the foreclosure is complete, renters will be offered the opportunity to either accept an incentive payment to vacate the property (“Cash for Keys”) or they may sign a new month-to-month rental agreement with Fannie Mae. Fannie Mae will not require payment histories or credit checks. Renters will be charged market rents. This means renters may have to pay higher rents. No security deposit will be required. Nothing is said about the former landlord’s possibly unreturned security deposit. The property will be for sale, and may undergo repair or rehab work, during the term of the tenancy. Tenants must cooperate with the sale. If the property sells, the lease will transfer to the new owner who may decide to occupy himself. The property will be managed by a real estate broker and/or a property management company. Under this plan, tenants, many of whom are not aware their home is even in foreclosure, are not forced out into the street. But, all leases will be month-to-month, meaning tenants may have to move within 30 days of a sale. Fannie Mae and Freddie Mac recently announced they will postpone foreclosure sales and evictions on occupied single-family residences scheduled to occur between November 26, 2008 and January 9, 2009. 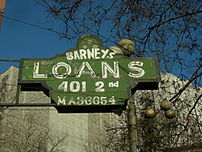 During this time, the companies will streamline their mortgage modification programs, scheduled to launch December 15. Foreclosure attorneys and loan servicers will continue to contact borrowers who have defaulted on their mortgage loans owned or guaranteed by Fannie Mae or Freddie Mac, and continue to pursue workout options. Note: this is a holiday halt only. Companies are attempting to contact homeowners and trying to arrange loan modifications for those who qualify. The companies said they would enact a program to restructure mortgages for borrowers who are falling behind in their payments. That effort would seek to help homeowners who haven’t paid their loans for three months but whose homes had not been foreclosed upon yet. In a foreclosure, Fannie Mae or Freddie Mac seizes control of a home and, usually, tries to sell it. This program extends aid to those who are in immediate danger of foreclosure. The companies estimate that means about 16,000 homes. Notice, though, that lenders do not want to reduce loan balances even for borrowers who are seriously upside down on their home’s value as is the case for almost anyone in California who bought or refinanced between 2003 and 2007.